NB - As part of my job, I have been paid to write about some of these exhibitions in a different post this year - these have been marked with (ad). I was not paid any extra or asked to share details in this post. The new year is the perfect time to set a goal for yourself. 'New Year, New Me' resolutions just aren't for me and I'd much rather set a goal which I'm going to enjoy so this year I've decided I'm going to get out and see as many exhibitions as possible. I didn't set foot in a gallery until my early 20s. 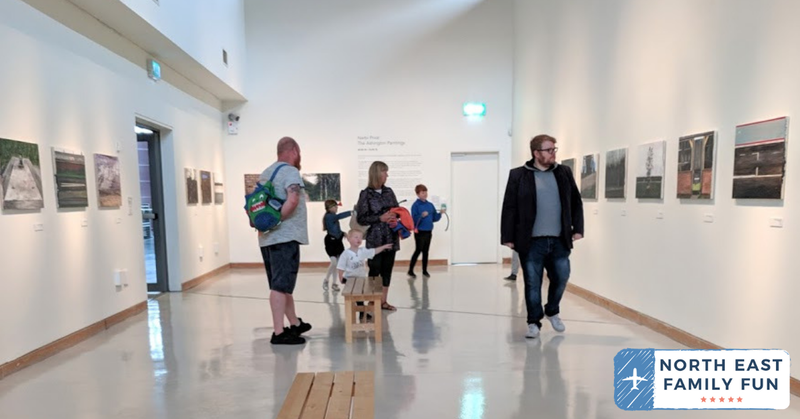 Growing up in a former mining village in the 80s and 90s, it wasn't really the done thing to visit exhibitions and galleries. Did they even exist in the North then? I'm not sure and my memory is rather sketchy. I still remember the first time I set foot in a gallery (the Baltic) as a young adult and it was intimidating and to be honest, I'm not actually sure I enjoyed that first experience. I kind of thought that I didn't belong, that I didn't have a clue what was going on and that I wasn't the type of person who should be walking around an art exhibition or that my opinion wasn't really valid. But I persisted (galleries are often free to visit and it's a cheap day out) and over the years, I've grown to love the arts and walking around a gallery or exhibition always inspires me, gives me a chance to clear my head, allows me to see/think about the world from a different perspective and is basically a form of escapism. I've learned over the years that you don't need to know a thing about art to view it and just walking around somewhere with different ideas can give you a different perspective on life. It's refreshing, stimulating and although it's cliché to say this, it really does open your mind and allow you space to think. I really want H, H and J to grow up loving the arts too and I reckon they've already viewed 50+ exhibitions in their lifetime. 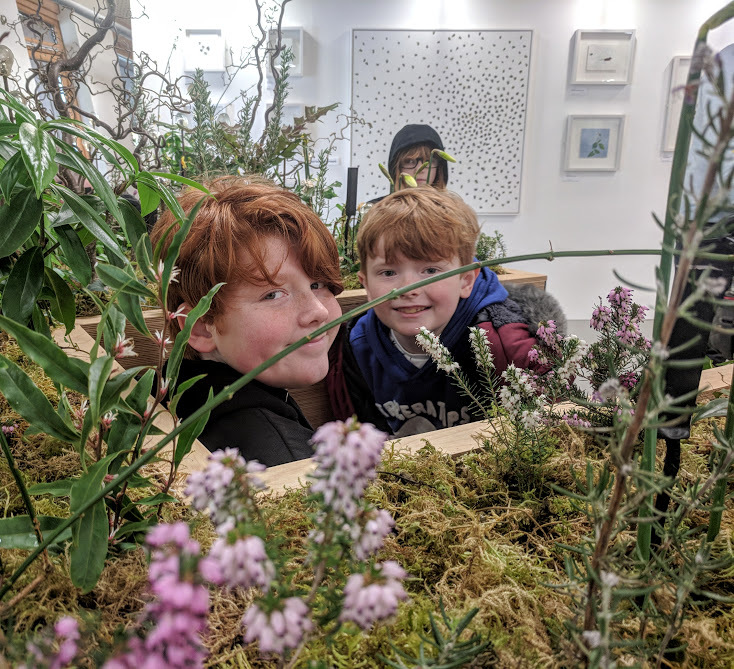 Exhibitions are usually accessible to all, child-friendly and they're a great way to chat with your kids about miscellaneous topics and inspire their imagination. We always each pick our favourite exhibit when visiting together and let each other know why we like it. In the North East, we're super lucky that we usually have a constant stream of new exhibitions on show. Not just art either, we have science exhibitions, costume displays, sculptures, light displays - all sorts. Visiting an exhibition is also a great way to keep your mind ticking over and continue learning as an adult too. My absolute favourite type of exhibition is modern/contemporary photography but this year I'm going to try and see a bit of everything. Sometimes I'll be bringing the kids along, sometimes it will be with Steve and other times it will be just little old me. I'm not an expert at all and don't get me wrong, sometimes I can leave an exhibition and be clueless to what it was all about but I usually really enjoy visiting and on the odd occasion, when you feel a real connection to something, it feels like magic and really is food for your soul! 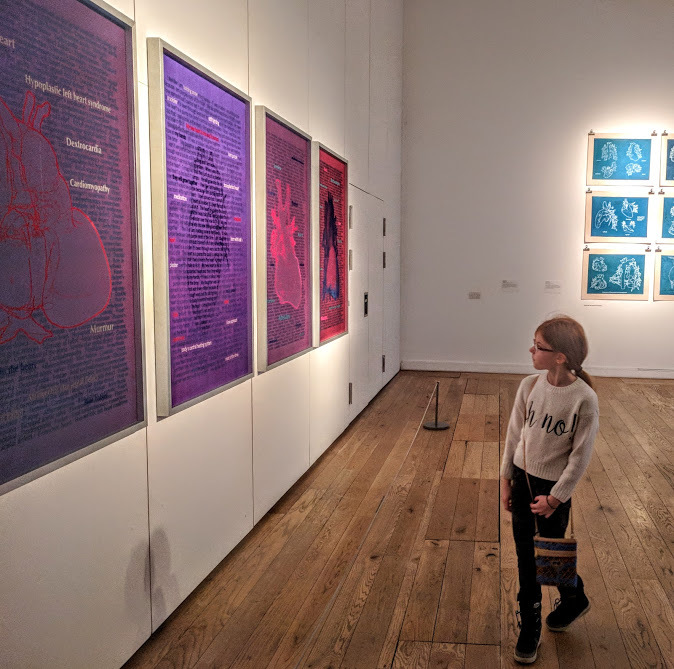 So in 2019, I'm aiming to see at least 12 new exhibitions and share them all in this post. I'll update as and when and re-share across Social Media when I visit somewhere new. As a working-class girl who did not step foot in a gallery as a child, I really want to share how this kind of day out really is accessible to all and hopefully inspire a few of you to get out and see what's going on in your local area too. Would anyone like to join in and challenge themselves to see 12 new exhibitions this year? I am working with Preston Park on a full blog post about this exhibition and I'm so pleased we had the chance to visit. I loved seeing costumes from TV and film up close and learning lots of fun facts from the exhibition guides. Jenna Coleman's dress from Victoria and a dress which was worn in The Great Gatsby were my favourites. 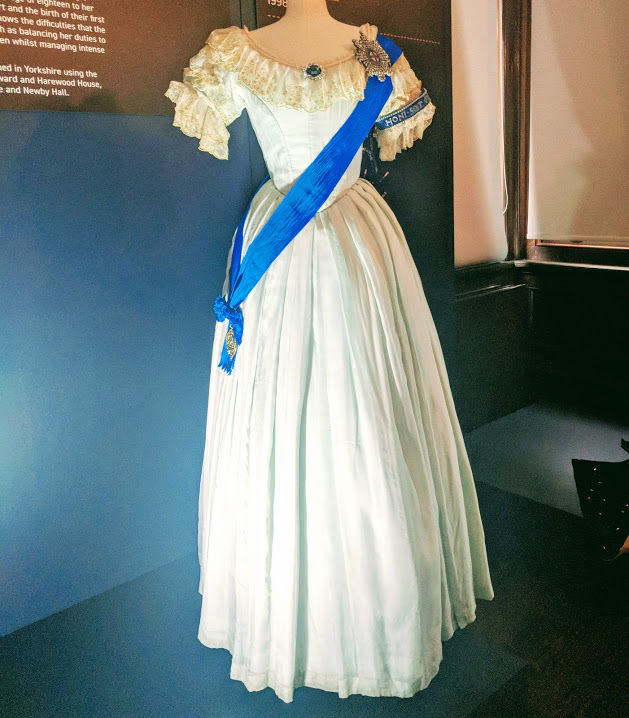 This exhibition is pretty small with 35 costumes on display across 2 rooms but there's lots of very interesting displays to read and lots of detail to see in the costumes. I'd say the exhibition is a must-visit for movie fans and is definitely worth a trip. Expect to spend 30 minutes-1 hour in the exhibition and then allow more time to explore the rest of the museum and grounds. This exhibition continues until 3 March 2019 and costs £5 per adult + regular museum admission (£2.50 per adult for an annual pass). Find out more here. Although the Laing Art Gallery is free to visit, this special exhibition is chargeable (we paid £8 per adult). Exposed continues until 3 March 2019. The exhibition is explicit in nature so under 16s must be accompanied by an adult. I didn't find it to be too sexual and although there was lots of nakedness, I would have been fine taking my kids. 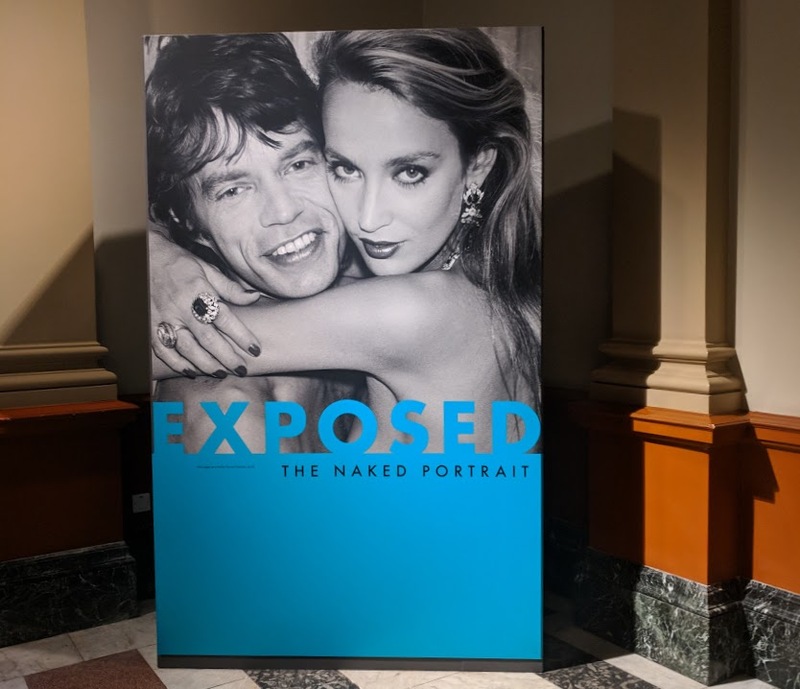 The exhibition features lots of unclothed portraits from The National Portrait Gallery in a variety of styles and I'd say you need around an hour to get through it all. Taking place across two rooms, there are two distinct themes - Bodies of desire and Reclaiming the body. I much preferred the latter gallery which addresses postmodern and feminist theory and the reappraisal of the naked body through art. Very thought provoking! Highlights for us included a portrait of Frank Bruno which was actually taken by Princess Margaret's husband Lord Snowdon (if you've watched The Crown, you'll recognise Lord Snowdon's character). It's weird how tv, celebrity, the Royal Family and art have mixed like this. There are some famous naked portraits too including those of Kate Moss, John Lenon and Yoko Ono and David Bowie which are displayed alongside lesser-known works. I loved how the two galleries contrasted each other and you can see female vulnerability (including a self-portrait of Tracey Emin, a portrait of a naked female teen amongst fully-clothed men at a picnic and an intimate photograph of Kate Moss taken by her then boyfriend) alongside powerful and confident portraits such as those featuring Nyomi Campbell, Germaine Greer and then a fully clothed female standing amongst a group of naked males. This all sounds a bit pervy writing this down but I promise it's not. It's really interesting and does ask questions. A piece which really stood out for me was of an art student who had an accident during her degree and ended up in a wheelchair. The student was able to finish her course and strongly praises her university for their support and adaptations they made but something she said really struck me and provoked a real feeling of sadness. She said a fellow student said to her that she would actually be really pretty if she wasn't in a wheelchair. Obviously, that stayed with the student but the resulting portrait is beautiful, moving, powerful and yet sad when you know the back story all at the same time. There's a bit of humour too with Johnny Vegas' interpretation of Demi Moore's pregnancy shoot being included too. If you're looking for an exhibition to provoke thought and make you think about the way people (in particularly females) are portrayed or how certain images of both males and females make you feel, I'd definitely recommend visiting. The exhibition was better than I expected, was mostly tasteful (there was only one portrait which was a little outrageous in my opinion) and I'm pleased I made the effort to go along Exposed continues untul 3 March 2019. Find out more here. Leonardo da Vinci:A Life in Drawing is available at Sunderland Winter Gardens untul 6 May 2019. The cost of admission is just £2.50 per adult (under 16s go free). Tickets should be booked online in advance to avoid disappointment (find out more and book here). The exhibition is part of a wider celebration marking the 500th anniversary of Leonardo da Vinci's death. Several simultaneous exhibitions are taking place up and down the country featuring work from the Royal Collection. What I loved about this exhibition was that it shows just how diverse Leonardo's work was. I had no idea he was skilled at producing such a wide range of work. There's everything from beautiful birds eye maps to conventional portraits and very detailed anatomy drawings. It really puts it into perspective just how great he was. 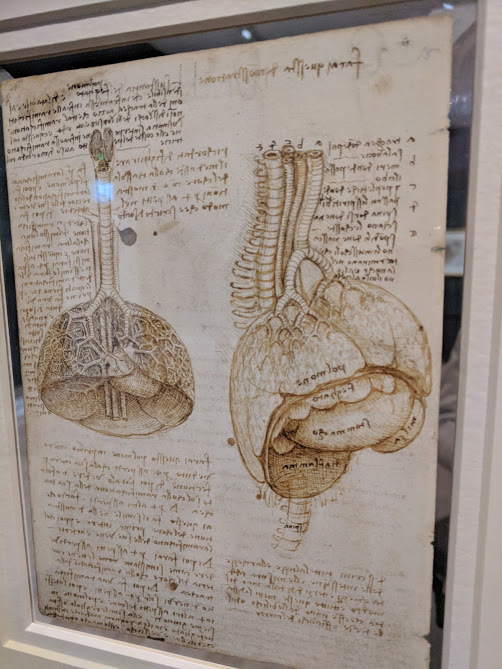 My favourite piece was the drawing of the lungs as the detail and beauty of it just blew my mind. Also - I can't believe the drawings are over 500 years old! This is a one-off opportunity to see one of the greats and I'd 100% recommend a trip. Plan Bee at Eden Project runs until 17 March 2019. The exhibition features contemporary art focussing around bees and their plight plus what we can do to help. I liked this one as it incorporates art, science, nature and our environment/social responsibility. The exhibition was open and clear and really easy to walk around. I visited this one with the kids and it provoked lots of discussion about how we can do more to help our bees. Ideas include avoiding using chemical pesticides, creating a wild garden, planting nectar rich flowers such as lavender and buying organic food which doesn't use chemicals when we can. You can find out more about Plan Bee here. I used to go to exhibitions all the time while doing my MA but I fell out of the habit since leaving uni. I'd really like to go see Behind the Seams too, it looks really good. So inspiring - love this idea! I've barely set foot inside a gallery and have never been to Laing, actually i don't think I've properly been to the Baltic either (I get straight into the lift and head up to Six for the food and views!) so if you need a buddy for any of your visits I'd love to come along to something and give it a go!